This week, Google is holding its annual developer conference in San Francisco. But, where past conferences were focused on major hardware and/or software announcements, the 2013 conference is focused on improvements to Google Play apps and core services. You might expect techies to be disappointed with so many seemingly small-bore changes — especially in a culture where the “next big thing” is always The. Next.Big.Thing. But Google recognizes that small innovations—improving its map app, introducing a rival music subscription service and (my favorite) new cards for Google Now — are essential to gaining and restoring consumer trust. This isn’t a paean to Google’s awesomeness. As they’ve become a colossus, it’s increasingly hard for them to “Don’t be evil.” But companies should still emulate Google’s commitment to constant innovation. SoGoSurvey is a company that understands the importance of innovation. 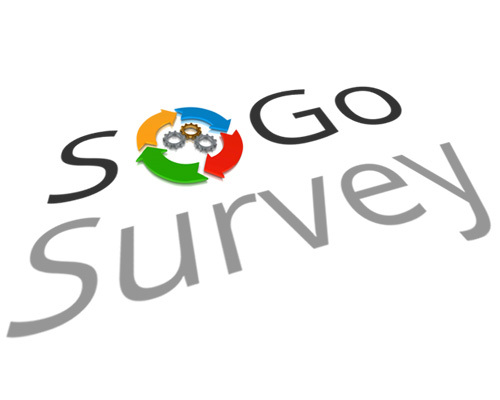 Besides building features other companies don’t have, SoGoSurvey’s software has built-in flexibility that enables it to meet a broad range of business needs. And, because innovation also requires a touch of precognition, SoGoSurvey’s powerful reports give you the power to spot trends and make proactive decisions. No, Google I/O’s announced product and service upgrades won’t change the world. But, by shoring up deficiencies and improving on services that already work well, they’ve demonstrated a commitment to their loyal customers, while making a strong bid for new ones. Great and lasting innovations are driven by Big Ideas — but tinkering with something good to make it great can be just as revolutionary.